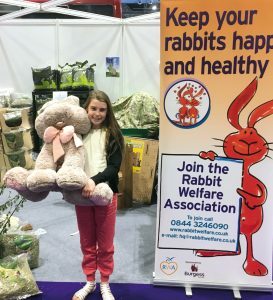 The Rabbit Welfare Association & Fund (RWAF) is the only charity in the UK dedicated to improving the lives of pet rabbits through education and campaigning. Although rabbits are popular pets, they are often misunderstood, and despite being seen as cheap and easy pets, they actually have quite complicated needs. In veterinary terms they are classed as ‘Exotics’, and unfortunately many vet practices don’t have the specialist skills and knowledge to provide the proper treatment and advise owners accordingly. For this reason the RWAF has held a list of ‘rabbit friendly vets’ for over 10 years now. We survey every vet that applies to be on the list, and our Vet Specialist, Dr Richard Saunders, assesses each application individually. We have just relaunched this assessment to make it more comprehensive. It covers a host of areas such as a rabbit waiting area and ward, pain management, diagnosis, and the skills of the vet themselves. Those that meet the standard are awarded either ‘Silver’ or ‘Gold’ status and issued with a ‘rabbit friendly’ logo and certificate. We always advise rabbit owners that using a rabbit-savvy vet is vital and our rabbit friendly vet list is a great place to start. It is available to anyone, just get in touch with us via hq@rabbitwelfare.co.uk to check for rabbit friendly vets in your area. 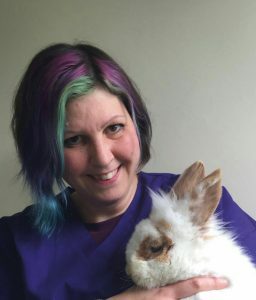 To promote the new assessment, practices that applied to be included in the new rabbit friendly vet list were entered in to a competition to see who is the most rabbit friendly vet in the UK. All Gold Practices are of excellent standards and will include a vet who has completed a further qualification to make them eligible to attain this highest award. Both the vets and the practices are at the top end of the scale and it would be impossible to choose one clear winner from this category. Dee Collins – Quantock Vet Surgery, Bridgwater, Somerset. 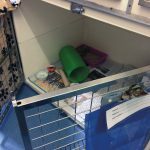 Richard chose this practice because they recognise the importance of pain relief and go to great efforts to get rabbits to eat while they are admitted, offering herbs and forage. Patients’ companion rabbits are admitted, they are active in Rabbit Awareness Week, and have a great range of handouts for owners. They are well up on infectious disease control, have good systems in place for keeping rabbits warm after surgery and good airway management, and hospitalised rabbits are given IV fluid therapy. In terms of the facilities offered, they have a rabbit waiting room and exotic ward. They use a range of dental radiography to assess patients, appropriate text books are available and both vets and vet nurses are working towards further qualifications. Deb Stafford – Gilmoor Vet Surgery (Hare & Hounds branch). Again there are a host of reasons that this practice is a winner in our eyes. 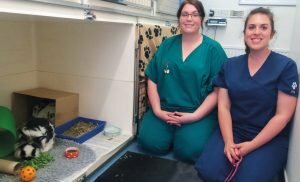 They treat each rabbit as an individual and don’t have a ‘one system fits all’ approach for procedures like neutering, enabling them to carry it out as young as possible. They ask for rabbits to have their own ‘pack lunch’ but also offer a range of diets including herbs and forage. They not only have a general rabbit ward, but also an isolation ward for small furries. They are active Rabbit Awareness Week supporters and provide their clients with a range of literature, including our RWAF guide, On the Hop. They have a good system for keeping rabbits warm after surgery, use both ET and V-gel for airway management, have a very well thought out multi-modal analgesia plan and use a range of drugs. Grimace pain scoring is used, they can do advanced dental surgery and have good protocols for gut stasis. Finally, they have a good range of text books available for staff to refer to. All practices that were on the vet list before 2016 are now ranked as Bronze. They can reapply to be reassessed any time, although most are waiting until their membership is due for renewal. If your vet is rabbit friendly, make sure you ask them to join and apply to be on the list. We want all rabbit owners to be looking for the rabbit friendly logo and certificate and to know that their pets are in good hands. Ellie Matthews was the lucky winner of the prize draw at the RWAF stand at the National Pet Show, ExCel London, on the 7th May 2016. Ellie won a giant fluffy rabbit and was extremely happy with her prize. Well done Ellie! I have been looking at the activity of online rabbit traders for the last six month, and first and foremost I have been amazed as to how many ‘rabbits for sale’ there are at any one time. Due to the fantastic system that Keith from Hindesight has developed, I have spent a lot of time looking at Preloved and Gumtree, and over a five month period have analysed 3,760 adverts on Gumtree and 1,410 on Preloved. Within the Gumtree adverts there have been 378 different sellers who have had at least five or more ‘rabbit for sale’ adverts, and Preloved had 172 sellers with five or more adverts. Some sellers have up to £6,000 worth of ‘stock’ advertised within a relatively short time period. I have highlighted the most prolific sellers to the relevant Local Authority and included a summary of their adverts. I have asked the Local Authority if the seller has a pet shop licence and, if not, would they consider issuing the seller with one (and if not, why not?). The majority of the Local Authorities have been willing to investigate further into the sellers but so far only five Local Authorities have paid a visit to the premises from which the rabbits are being sold and looked at the conditions. No Local Authority has issued a pet shop licence yet based on the evidence given to them. The reasons given for not issuing a licence have included: the seller being a hobby breeder and is only selling off surplus stock they are not going to show, and the seller only keeps a few pet rabbits and they are kept in good conditions. One seller claimed to be running a rescue and was asked by the Local Authority to make that clearer on the advert. I have written to all the Local Authorities concerned advising them of guidance we have received from DEFRA which is: “if you consider that someone is operating a business of selling animals as pets without a licence you should report it to your local authority”. Although no local authority has issued a pet shop licence as of yet, it is clear to see that there is an inconsistency when applying the legislation. I have sent the first edition of my report to DEFRA and am awaiting a response. In the meantime I am continuing to liaise with Local Authorities and reporting sellers who appear to be selling a large number of rabbits and encourage them to inspect them in view of issuing a possible pet shop licence. I will be expanding on the report to include more data over the next few months and will resend it to DEFRA, to outline how changes in the law need to be made in regards to unregulated breeding and selling and advertising on the internet.